Although I am not a vegetarian, we practically are at home. Thanks to the cost of kosher meat, we typically eat vegetarian foods in our house and only occasionally toss in some ground turkey or boneless chicken breasts. We often eat meat alternatives, tofu, Morning Star Farms products, and fish. As a BzzAgent, I was asked to participate their Morning Star Farms Campaign that was focused on Changing up Burgers for the better in the new year. I jumped at the opportunity since our freezer is often filled with many of their products. 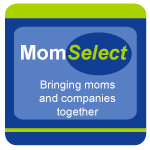 Not only are they healthier for us, they are great to make in a pinch when we are on the go. A totally refreshing veggie burger, made with chickpeas, spinach, Roma tomatoes, and traditional Greek herbs and spices. Although we were given a coupon for a free package of Morning Star Farms burgers, I forgot it at home (ooops). So we bought a package of the Mediterranean Chickpea burgers and some other meatless products for the week. Why yes, those are whole chickpeas within the veggie burger. We had some pitas in the house and served them inside them. I can honestly say it reminded me of a falafel pita, but not fried and greasy. It was crisp (baked in the oven) and delicious. The texture was perfect and spices were perfect. The only item I missed – a sauce. The next time we tried it we used a Greek yogurt sauce to add a little something else that really hit the spot. Do you like veggie burgers? I would love to know how you would create the perfect veggie burger to make for a lunch or special dinner. 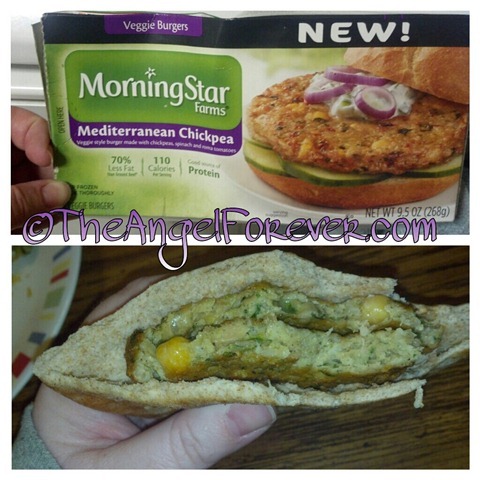 Disclosure: As part of the BzzAgent campaign, I was sent a coupon to try a package of Morning Star Farms veggie burgers. 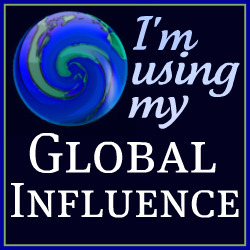 I was not required to write a blog post, I simply wanted to share since we are big fans of these products. No compensation was received and all opinions are my own. 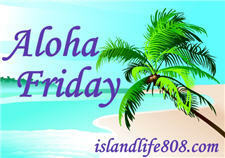 Thanks to Kailani at An Island Life for starting this Friday fun.